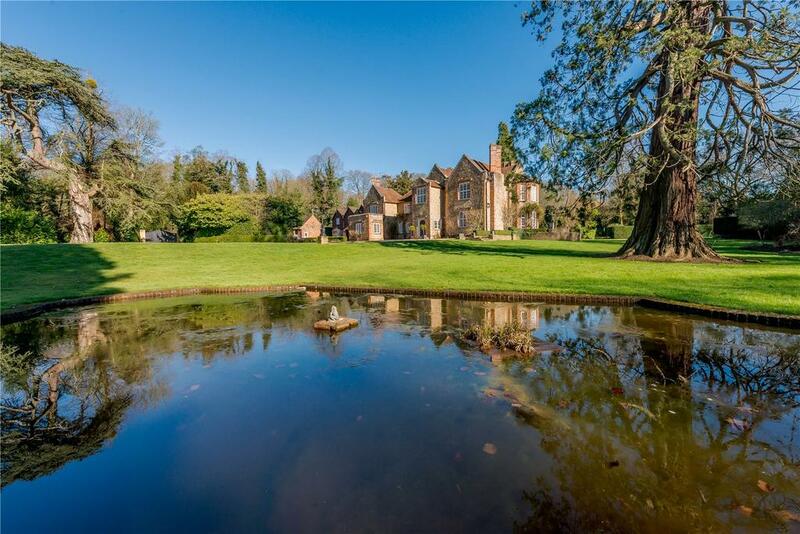 Assertively positioned on the edge of the enchanting village of Puttenham, this striking Grade II listed Manor House, now on the market with Savills at a guide price of £2.85 million, offers Regency elegance on a grand scale. The inimitable Manor House is a true prize, combining rural escape with easy urban-accessibility. Preceded by its reputation, a plaque denotes the birth of the property as 1824, with the words “Mighty Fortress” adoring the entrance. Most notably in the drawing room and dining room, remarkable period details have been immaculately preserved, visible in the panelled walls and extraordinary open fireplace. 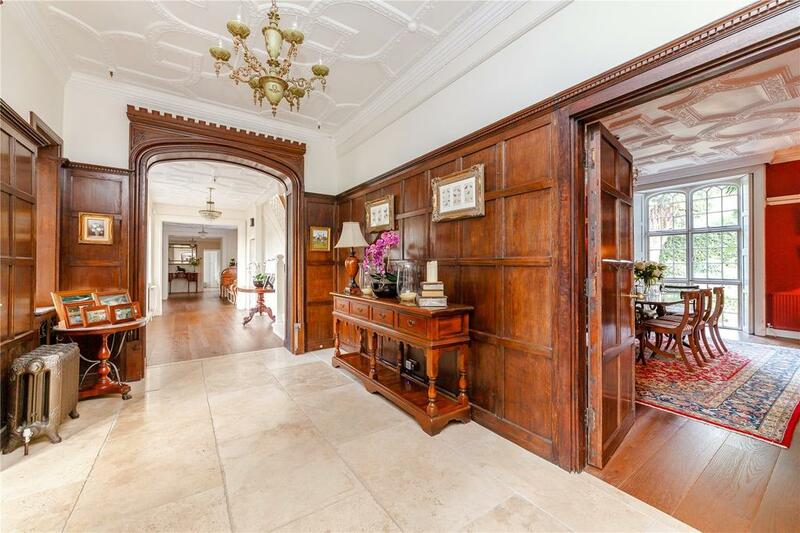 The magnificent carved oak doors, leading you from the reception hallway into the dining room, and the ornate ceiling cornice in the drawing room, are demonstrative of this Manor’s rich heritage.  Despite its imposing wooden features, the house is full of natural light, assisted by the countless bay windows, which bring a warm, inviting atmosphere to the property. 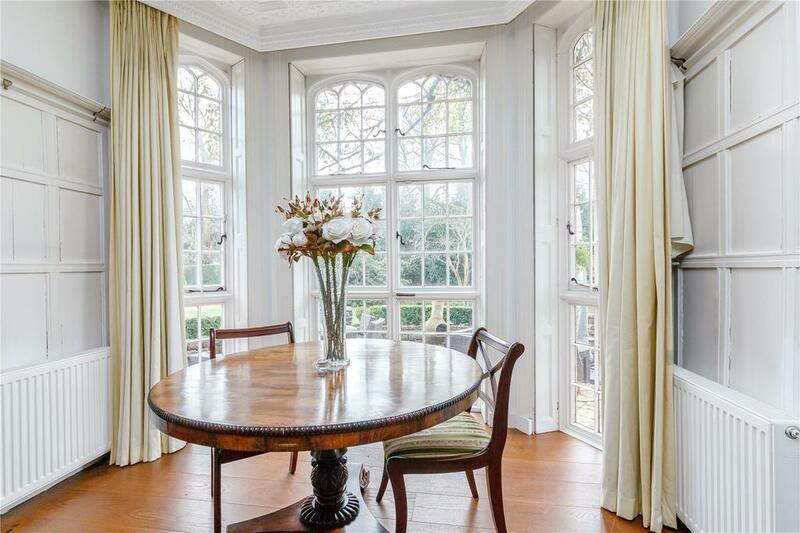 A picturesque view of the gardens is also accessible via the French doors at the rear of this majestic dining room, as well as a further door that extends to the modern kitchen. Fitted with two pantries and a wealth of cabinets, the kitchen provides ample space for large families. Guided by a spectacular staircase, you will arrive on the upper, wooden levels of the property, which boast a master suite, complete with bay windows that allow for breathtaking views over the grounds, as well as a spacious dressing room and en-suite bathroom. 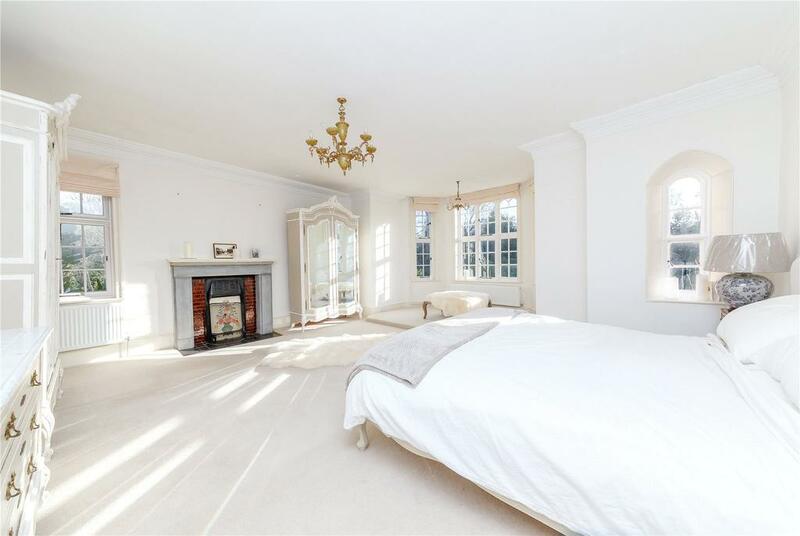 Three more bedrooms and a separate self-contained apartment comprise the roomy upper level of the Manor House. As if this quintessential English gem does not offer enough, an additional cottage can be found outside, providing a further bedroom, bathroom, kitchen and homely sitting room with a wood-burner. It also includes an Annexe that can be accessed from either the main house or from its own private entrance, allowing for effortless incorporation with the rest of the house, or for peaceful, undisturbed privacy. 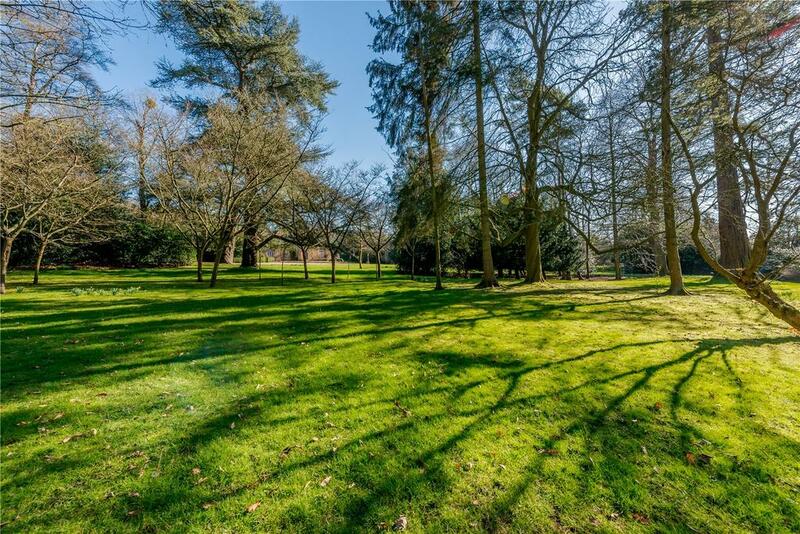 Four acres of landscaped gardens stretch their way along the parameters of the house, which lies just five miles from Guildford, ideal for the fast, 37-minute service into London Waterloo. 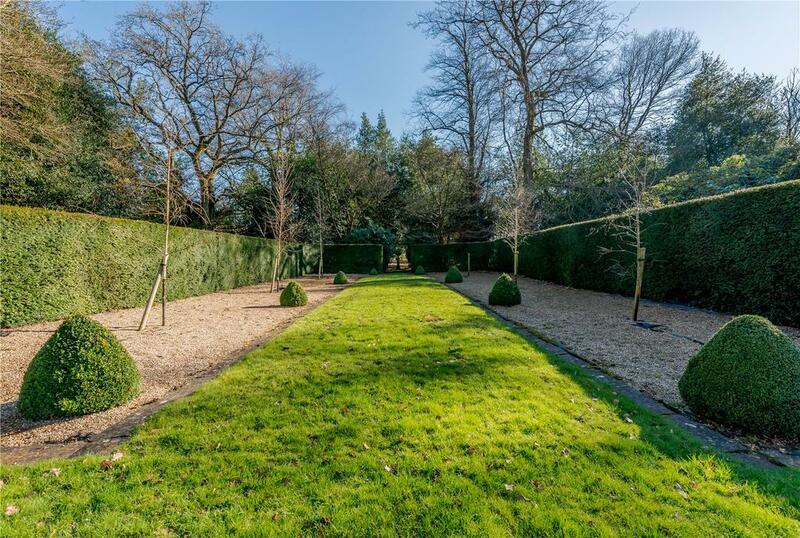 The Regency Manor House is on the market with Savills at a guide price of £2.85 million.